VANCOUVER, BC – CBC News reports that Stanley Park Brewing may soon have a home in its namesake park in Vancouver, as the Vancouver Park Board has approved a staff report recommending that the Labatt-owned brewery become the tenant of a vacant building located in Stanley Park. The building was built in the 1920s as a pavilion for golfers and tennis players, and was most recently in operation as The Fish House, a restaurant that closed in 2015. 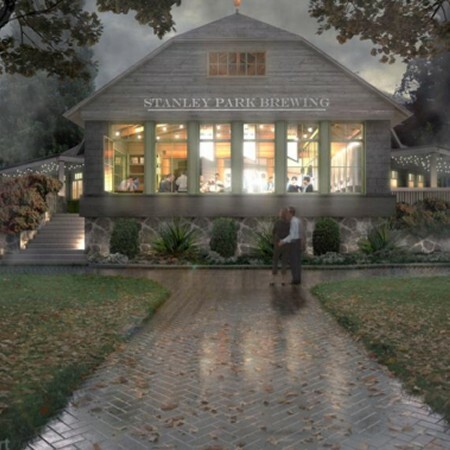 While the new brewery would be focused on producing beer for onsite consumption and sales, its expected that the bulk of Stanley Park’s commercial brewing will continue to take place at the Turning Point Brewing facility in New Westminster. Timelines for the renovations and reopening will be announced once planning is complete.